Engine reconditioning How to get your engine back to as-new condition. Product Test: Starter toolkits Nine of the best evaluated by our experts. Tea Break: Front-wheel drive The pioneers of FWD technology. Motor trade insurance Are you eligible for a policy? What happens when a vehicle is scrapped? Recycling vehicles. VW Golf GTI MkV Part five: We refurbish the tatty alloys. Land Rover Defender Buying the best. 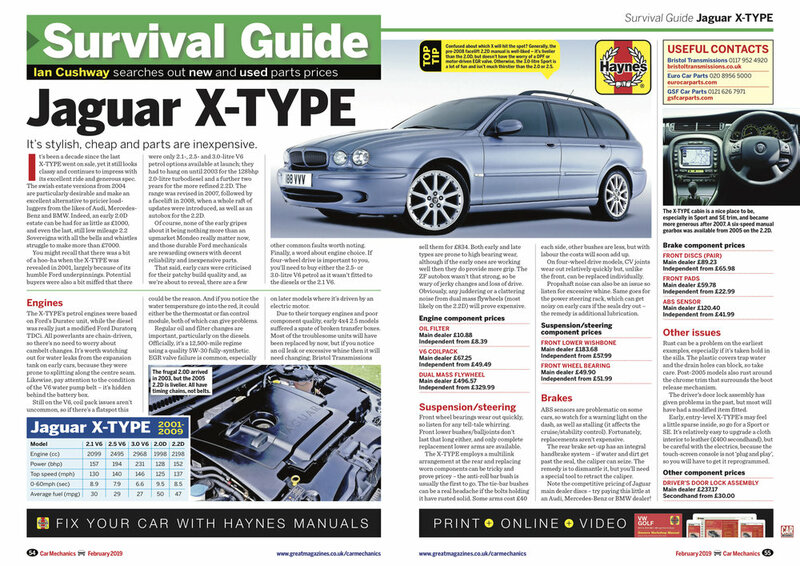 Jaguar X-TYPE Sourcing new and used parts. Handbrake repairs Diagnosing and fixing common faults. Auto electrics First in a 10-part beginners’ guide. Brake fluid types Finding the right type for your car. DIY Servicing Ford Galaxy Titanium 2.2 TDCi. Nissan Micra K12 1.2 Electronic diagnostics. Help! Your toughest technical problems solved by our experts. Diagnostics Doctor Your diagnostics queries answered. Tales from the Workshop Helpful tips and unusual fixes. CM Insider New products and top giveaways. Dealer's Diary Stephen Ward on the BMW i3. Our Cars Rob Marshall’s fleet update & Craig Cheetham’s Rover 45. In My Humble Opinion Mike Humble on stop-start systems. WIN Clarke tool chests Three prizes worth more than £347. WIN Clarke Micro 350 Jump Start Worth more than £100. 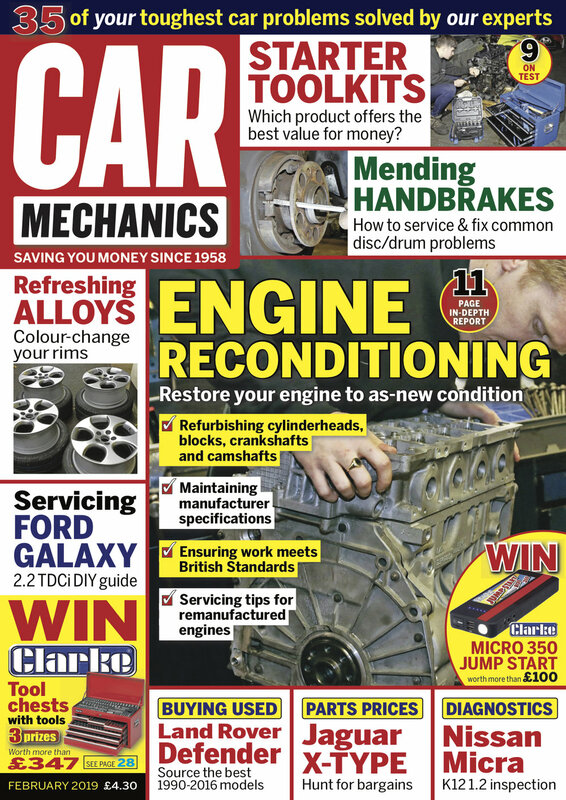 Subscribe to Car Mechanics now and never miss an issue!